Curl up and relax on this luxurious handwoven cushion. 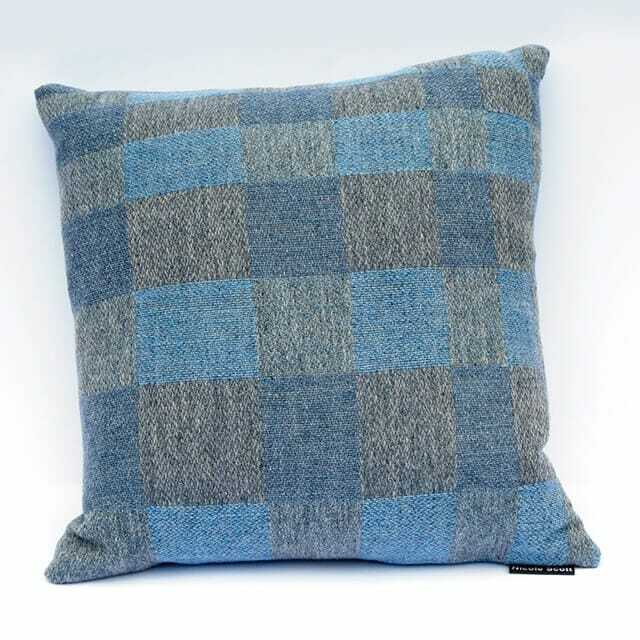 The Mist cushion from Edinburgh textile designer Nicole Scott is made from super-soft merino lambswool with a pattern of large bold squares in complimentary blue and grey toning colours. Just one adds a spot of cosy colour to a favourite armchair, or a whole stack could transform your sofa into a snug squashy retreat at the end of a long day. Each one of Nicole’s cushions is created using fabric she designs and hand weaves on her own loom. Once off the loom the fabric is assembled and filled with downy duck feathers for maximum comfort.